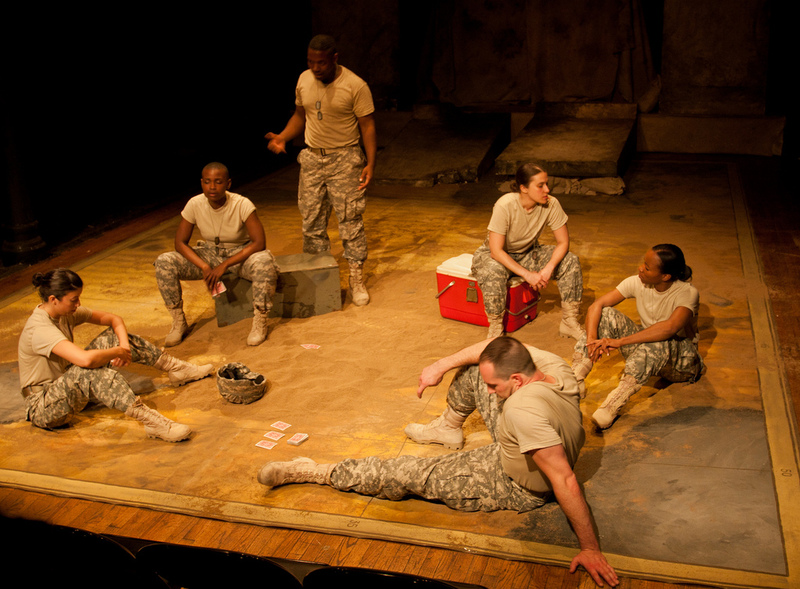 The Story: Past and present collide in Ellen McLaughlin’s mash-up of Sophocles’ classic play Ajax and today’s war in Iraq. 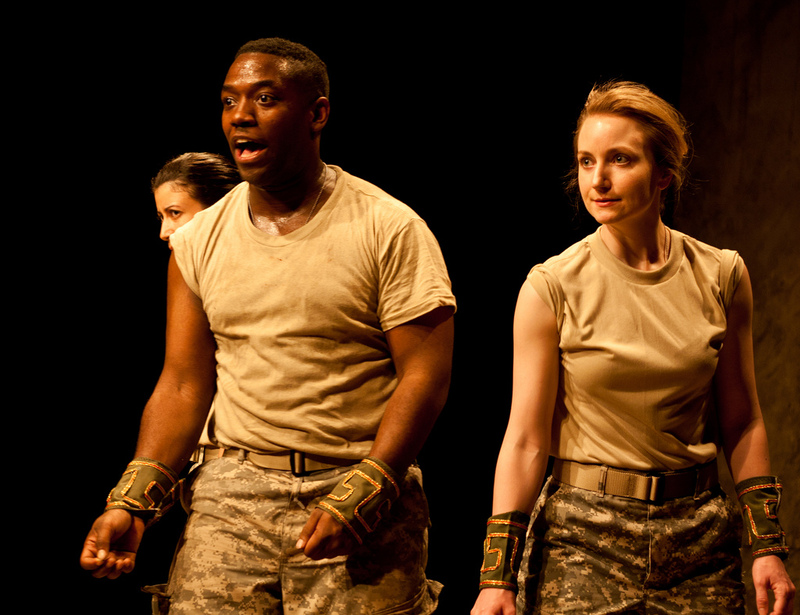 The play follows the parallel narratives of the ancient Greek military hero Ajax and a female American soldier, both undone by the betrayal of a commanding officer. 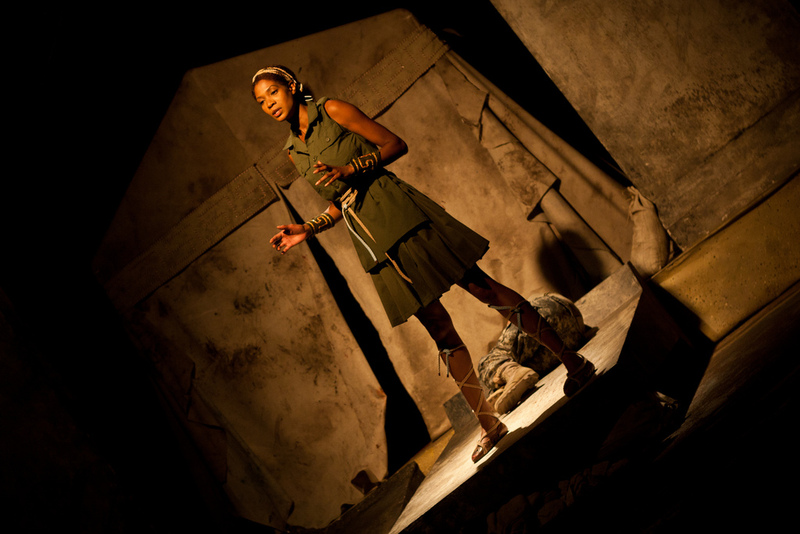 Originally developed over sixteen months in 2009 with the graduate acting students at A.R.T. 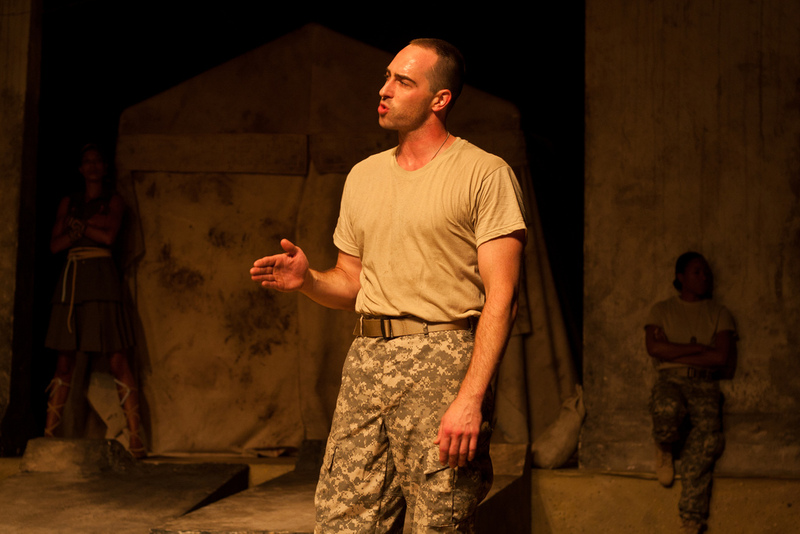 and inspired by material collected from interviews with Iraq war veterans, Ajax in Iraq explores the timeless ways soldiers struggle to make sense of war. 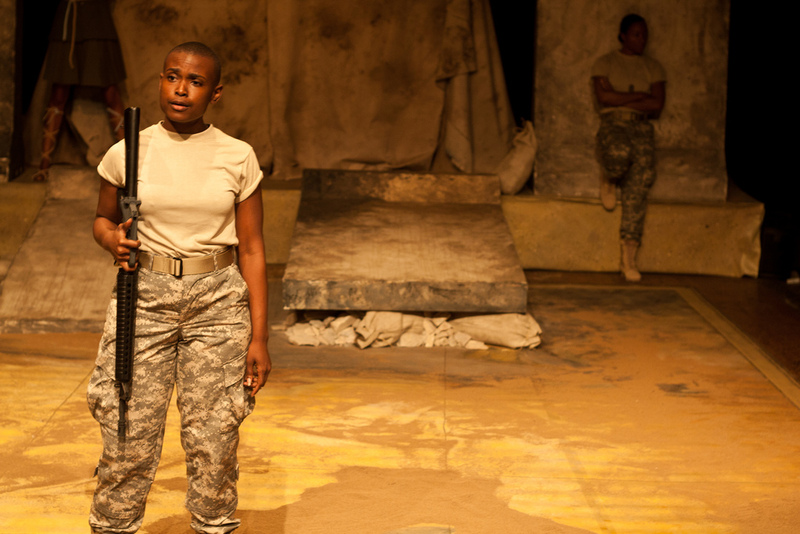 The Flux Theatre Ensemble’s fervent and valiant production of Ms. McLaughlin’s sophisticated “Ajax in Iraq” makes its case in two ways. 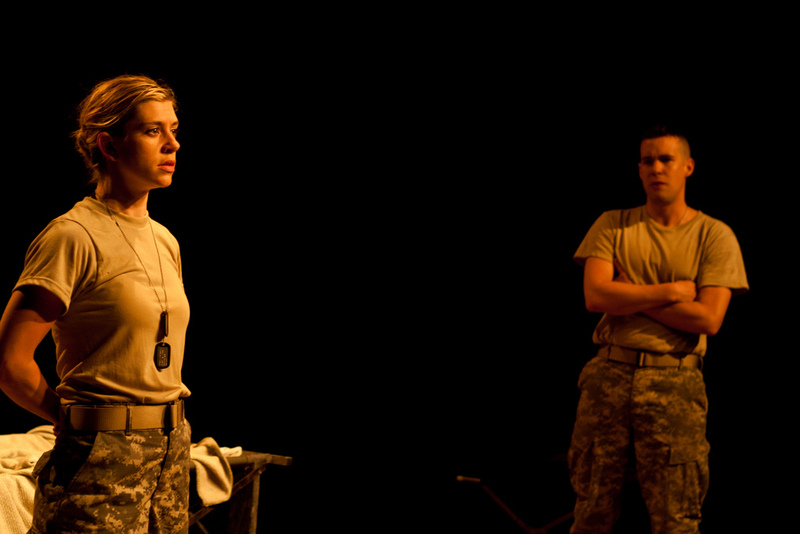 Flux consistently raises the bar when it comes to Indie Theatre and this piece has put that bar somewhere in the sky. 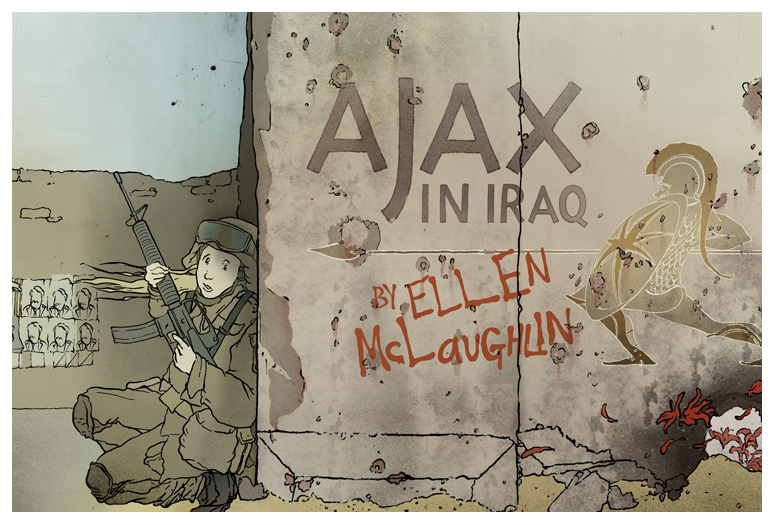 An explosive 90 minutes with no intermission, Ajax in Iraq will live on in the minds and hearts of its audiences long after its all too short run. If you want to see a play that will have you thinking about its story for many days to come, this will definitely stir your conscience. 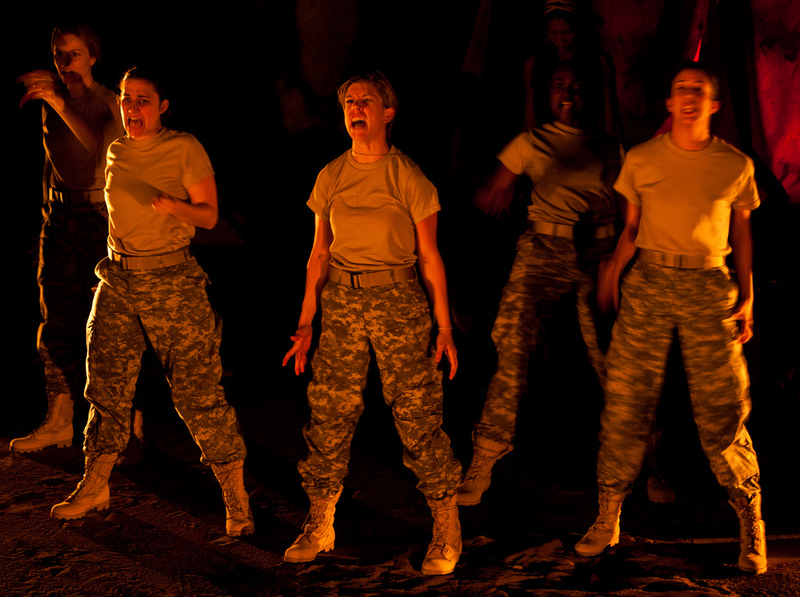 Images from our 2011 production of Ajax in Iraq. All photos by Isaiah Tanenbaum.